A/Professor Wallace completed her PhD at Monash University investigating fetal lung liquid secretion and its clearance at birth. She was awarded a prestigious Canadian Medical Research Council/Canadian Lung Association fellowship for her postdoctoral studies at the Hospital for Sick Children, Toronto (1994-1997) where she was the first to identify a role for the protein PTP (Wallace et. al. Nature Genetics 1999). She then returned to Monash University, before joining The Ritchie Centre at Hudson Institute of Medical Research in 2010, where she leads the Lung Development Group. A/Prof Wallace is also an Adjunct Senior Lecturer in the Department of Obstetrics and Gynaecology, Monash University where she convenes a third year undergraduate unit (BME3082) called Fetal and Neonatal Development. The main aim of A/Prof Wallace’s research has been to determine the factors that regulate normal and abnormal lung development before and after birth, and the transition to air breathing at birth. 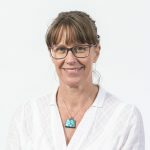 To achieve this, she has developed sophisticated molecular techniques, live-cell and X-ray imaging approaches and intricate surgical procedures to manipulate, image and analyse lung development. Megan has published >70 scientific articles and has been a Chief or Principle Investigator on 36 successful grants (worth a combined total of >$15 million). She has supervised 16 Honours students (14 received H1) and 8 PhD students to completion. Megan has also been a Director of the Perinatal Society of Australia and New Zealand (PSANZ; 2008-2012), Co-Chair of the Victorian Branch of PSANZ (2007-2012) and Co-Chair of the 2011 PSANZ Congress. McDougall ARA, Hooper SB, Zahra VA, Sozo F, Cole TJ, Doran T, Wallace MJ (2011) The oncogene TROP2 regulates fetal lung cell proliferation. American Journal of Physiology – Lung Cellular and Molecular Physiology 301: L478-L489. Wallace MJ, Hooper SB, McDougall ARA. Chapter 8: Role of physical, endocrine and growth factors in lung development. In: The Lung: Development, Aging and the Environment. Ed. R. Harding & K.E. Pinkerton. Elsevier Academic Press, London UK. In Press.